The deaths of 76 Branch Davidians in April 1993 could have been avoided – so why didn't anyone care? Catherine Wessinger does not work for, consult, own shares in or receive funding from any company or organization that would benefit from this article, and has disclosed no relevant affiliations beyond their academic appointment. This proved to be crucial in the days leading to the FBI’s assault against the Branch Davidians on April 19, 1993. Internal FBI documents reveal that the bureau’s behavioral scientists knew the Branch Davidians were waiting to see if a biblical prophecy, as interpreted by Koresh, would be fulfilled. Koresh had predicted that the group would be assaulted and killed during Passover week, which, in 1993, took place between April 6 and April 13. His disciples would be resurrected with Koresh, and together they would carry out the Lord’s judgment and set up God’s Kingdom on Earth. After Passover came and went, Koresh sent out a letter on April 14 outlining his plan to come out after he wrote a short commentary on the Seven Seals of the book of Revelation. Significantly, the FBI log also reveals that on April 14, Koresh sent out a signed contract to retain his defense attorney. On April 16 Koresh reported to a negotiator that he had finished composing his commentary on the First Seal, and Branch Davidians started asking for supplies to type Koresh’s manuscript on the Seven Seals. In his letter, he had promised to come out after the the manuscript was in the safekeeping of two Bible scholars, J. Phillip Arnold and James D. Tabor, who had communicated with him via radio. Reno approved the plan for the assault on April 17. 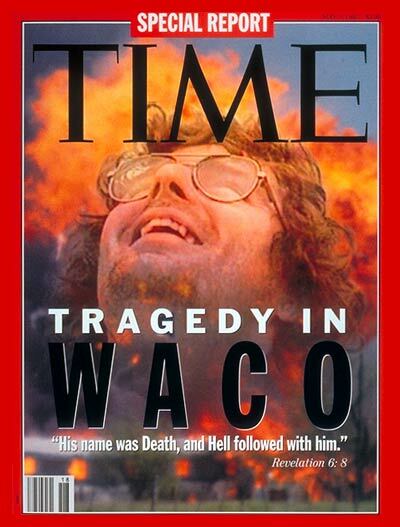 Branch Davidians continued asking for word-processing supplies, which were delivered on the evening of April 18. A surveillance device audiotape reveals that, after the assault started at 6 a.m. on April 19, Branch Davidians attempted to get FBI agents to repair the telephone line to negotiators, which had been severed as soon as the assault began. They wanted to tell the agents about the progress they’d made typing up Koresh’s commentary on the First Seal. But the telephone line to negotiators remained broken, and the assault proceeded. Combat Engineering Vehicles (CEVs) plowed into the building to spray CS powder dissolved in methylene chloride liquid. Members of the FBI’s Hostage Rescue Team fired in ferret rounds that released gas upon impact. At 11:31 a.m., a CEV drove through the building and sprayed CS gas for 24 minutes toward children, their mothers and two pregnant women who were sheltering in a former vault – a concrete, doorless room. After the CEV moved to spray gas into the second floor, the deadly fire erupted. A close study of the Branch Davidian case shows how all parties ended up playing roles in the tragic outcome. Retired FBI agent Gary Noesner was the negotiation coordinator at Waco from March 1 to March 24. From Feb. 28 to March 23, a total of 21 children and 14 adults came out as a result of negotiations. Yet whenever adults cooperated and came out, the remaining Branch Davidians were punished: FBI agents cut off their electricity, ran over their parked vehicles with CEVs, and during the night shined bright spotlights and blasted high-decibel sounds to cause sleep deprivation. When Noesner protested these tactics, he was removed from the case. Of course, suspected illegal activities by members of a religious group must be investigated, and normal (not excessive) policing procedures implemented to make arrests. But starting off an investigation by labeling a group a “cult” makes it almost impossible for an unbiased approach to be taken. As I recount in a chapter on the Branch Davidians and religion reporting, after the conclusion of the Mount Carmel Siege, a number of reporters in the print media reevaluated their depiction of the Branch Davidians as cultists. When reporting on stories about marginal religious groups, they refrained from using the label “cult.” Professional associations reached out to promote stronger relations between reporters and religion scholars. However, lately the word “cult” is making a return in the media. I’ve noticed that the CBS series “48 Hours” likes to feature stories about “cults.” Unfortunately, National Public Radio hosts have recently started using the word “cult” to label groups like the Buddhafield and have reverted to using the word when describing the Branch Davidians. 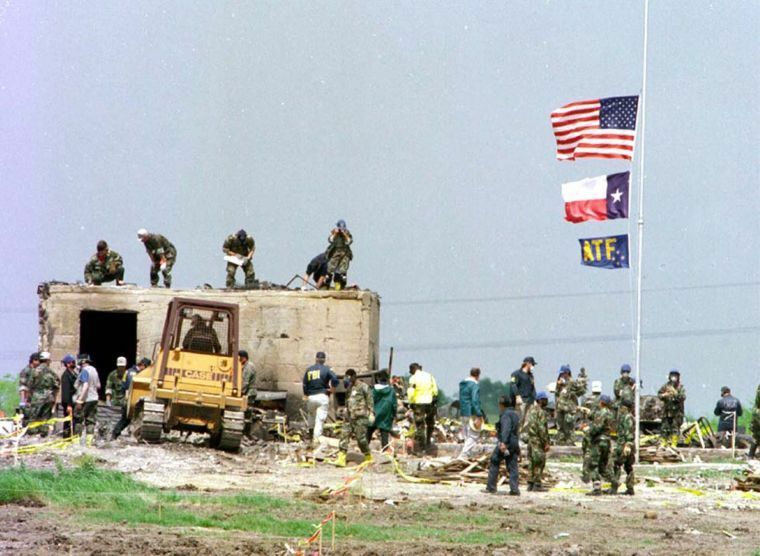 The Branch Davidian case illustrates how stigmatizing a religious group with that four-letter word can abet a tragic outcome. It’s on journalists as much as it’s on law enforcement to make sure a tragedy like what happened at Mount Carmel never happens again.